There’s a lot to know about keeping your trees healthy. Ideally, this process starts even before you begin to build a course, and continues throughout its lifespan. Trees will respond to changes, natural and man-made, in their environment. Your goal is to add as little change and stress as possible. With that in mind, here are 10 keys to fostering and maintaining healthy trees. 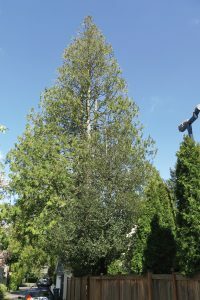 Every tree species has a different form and its own unique characteristics. Understanding what tree species and other vegetation species you have on your site will help guide your management efforts over the years. If you don’t know what you have, it is hard to tell people what your goals are in preserving your site. Longevity is an important consideration. For many reasons, the longer-lived tree species are the best choice for supporting course elements. Keep in mind that older trees of all species will have more old injuries and decay, and may be prone to shedding large parts. Always use the Latin binomial along with the common name when referring to your trees and plants. This is really important and can prevent confusion and miscommunication with planners, contractors, and employees working to manage your site. The plant and tree species that exist on your site are part of the local ecosystem. I always tell folks living in cities that their homes and all of the supporting infrastructure should be considered as part of the ecosystem. The same advice applies to your facility. Currently there are profound changes occurring in ecosystems worldwide. Trees, a key component of many terrestrial ecosystems, are particularly affected. A few years ago, I inspected trees that were going to be the centerpiece of a zip line business. Sadly, all of the trees were eastern hemlock (Tsuga canadensis). By the time of my visit, several were dead, and others were on the way out, courtesy of the hemlock wooly adelgid (Adelges tsugae)—an insect that came here from Japan in 1924 and is now killing off hemlock throughout eastern North America. 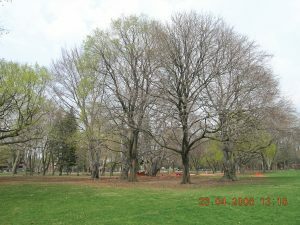 A colleague had a similar experience with Ash (Fraxinus spp) trees in Eastern Canada. His client was building treehouses. Ash was not a good choice, as that species is vanishing due to the emerald ash borer. None are expected to survive. 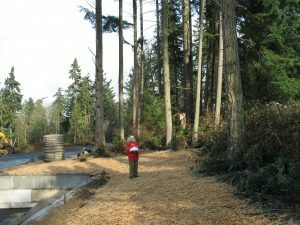 In the North American West, we have several clients that are scrambling to protect trees from various issues that are affecting their local ecosystems. We can try to predict what comes next, but the only thing that is certain is things will change. Plan ahead and have a contingency plan in development for your site. Your trees rely on their connection to the soil ecosystem. All of the other plants growing beneath the trees are part of this complex web. Foot traffic alone is enough to compact surface soils and reduce duff to dust. Construction and maintenance activities can also contribute to negative impacts on your soils and the plants that rely on them. Avoid “parking out” your forest. Leave understory plants and trees in place. Preserving undisturbed areas of soil is your best and easiest method of assuring a healthy forest. If landscaping is a part of your facility, keep in mind that irrigated landscapes adjacent to natural forest can be problematic. Seek out a qualified horticulturist and ask your arborist to pick plant palates that will mesh with your local native plants. Don’t misunderstand me—I am a fan of tree pruning. Pruning helps people live near and under trees. However, trees do not require pruning by humans. Trees do their own pruning, and their shapes change over time as the environment brings pruning events along constantly. Most well-meaning commercial arborists follow the ANSI-A300 Standards for Tree Care Operations. The A300 standards are the generally accepted industry standards for tree care practices. Like the ANSI/ACCT 03-2016 standards, these are voluntary standards developed by the tree care industry. These standards change, and not all arborists are up to date. For instance, the pruning category “crown cleaning” has recently been removed. 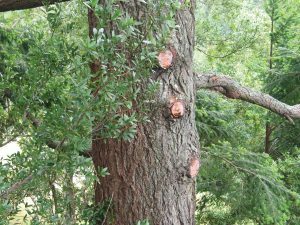 That occurred due to pressure from ecology-minded arborists, who pointed out that the practice of removing all of the dead parts from trees has no science supporting it. It’s possible that some arborists may not be aware of the standards in the first place. As the crown cleaning example shows, not all practices developed by the industry are necessarily environmentally sound. I suggest that you be very careful with tree pruning decisions in natural settings. Knowledgeable arborists who have kept up to date with the best science-based approaches can achieve your goals for safety and clearance from your facilities, without making the trees appear manicured. I recommend the approach known as non-defensive arboriculture, which mimics a tree’s natural pruning, minimizing visible saw cuts and preserving dead parts as long as they don’t pose unacceptable risk. Like ecosystems, trees are dynamic and constantly changing. Your support trees accept thousands of cycles of wind loading every year. When we add our elements, subtle changes are going to happen—the questions are when and how, not if. The treehouse community has learned to be alert to the issue of cyclic loading of critical components. Over the years, we have seen quite a few failures of steel components due to cyclic loading. Trees change over time, and will adapt to changing conditions slowly. Altering the forest with pole foundations, clearing of any kind, and connecting trees together or guying them will change the system dynamic. It is important to carefully monitor your trees—along with the ecosystem they grow within—for changes. Make sure employees who are regularly on-site are trained in visual tree assessment and follow a monitoring protocol. I suggest taking and keeping regular measurements of critical areas on your course. This is easier said than done. Using a logbook will help. Also, to get repeatable measurements, you must find a way to mark the tree so you can repeat the measurement in the exact same spot, or as close as you can get. Many treehouse builders use plumb bobs to monitor slight changes in trees they are building in as the weight of the treehouse is added to the tree’s structure. Plumb bobs, when carefully set, will pick up very subtle movements in trees or platforms. Also, using a laser measurement device, one could set up some monitoring positions that would be easy to use and provide good data. Trees add a new layer of tree around their entire structure every growing season. This is inevitable and will continue as long as the tree has any life left in it. It’s important to know the basic form and patterns of growth of the species you’re working with. In general, I find that people building in trees underestimate the amount of tree growth that will occur. This is particularly true in environments where growing conditions are good and growth is rapid. On most locations, the remains of trees that have been removed will provide the most accurate estimate of the tree growth rate that you can expect on your site in the future. Don’t just depend on one or two stumps. Look at various species and at different locations on your site to determine what the average growth rates are. Again, good visual tree assessment skills will allow you to watch your trees carefully and understand changes in growth that might occur. It can take a very long time for trees to reveal stress and major changes from impacts caused by construction and development of any kind. The more subtle impacts can be easily overlooked. A good example is foot traffic: It’s amazing how much a bunch of humans walking around having fun can alter the ecosystem of a site. More egregious impacts from site development activities can leave a tree standing, but will cause significant changes that will affect the tree over time. 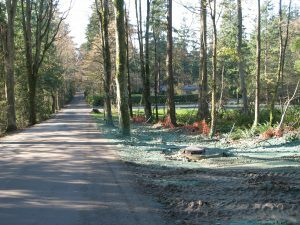 These changes often stem from road construction, grading, underground utilities installation, and clearing of trees and other plants. The best way to ensure the health of your site’s ecosystem is to begin early, even prior to any groundbreaking, to manage the site. The aim is to preserve healthy soils and limit changes that might affect your critical trees in the short and long term. You can physically protect your living infrastructure right from the get-go. 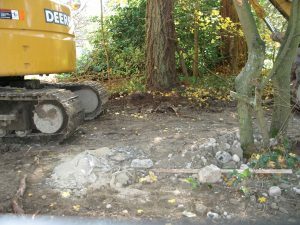 Create well-defined pathways to access tool and material storage areas, and make sure the paths are not near the bases of trees. Also, create paths to accommodate guests, who often want to go to the base of your support trees to see what you have built. 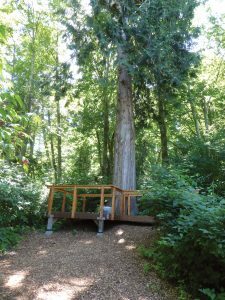 Create a path that allows this viewing, while minimizing foot traffic at the base of the tree. Post signs that explain why it is important to stay on the paths to help preserve soils and understory plants that support your trees’ growth and health. With zip lines, I often see significant impacts to the bark of trees at the platform level. I’ve also seen many innovative methods to reduce this problem. The issue is that bark is a protective coating over the most sensitive areas of a tree, the cambium layers. Although new bark is produced every year, if you wear it away you’ll end up with a very thin layer, and perhaps even wear through and break the cambium. Bark is, among other things, a tree’s sunscreen, fireproofing, barrier to insects, and a significant part of a tree’s aesthetic beauty. Protect the bark of trees during construction and continue to do so once the course is in operation. Natural much is the friend of trees anywhere they grow. The best mulch that money can’t buy is the debris that is produced by trees and other plants as they grow and shed parts or die back for the winter. Many humans who live in cities or suburbs see leaves as “a mess” and treat them like an enemy or an insult, but they are a valuable part of the ecosystem. Other options? Wood chip mulch from an arborist or tree service truck can be used on your site. 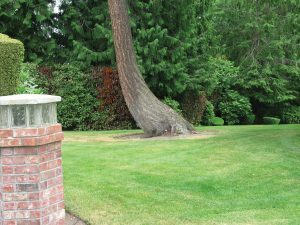 Whatever your choice, do not bury the trunks of trees or shrubs with any kind of mulch. Leave fallen or pruned pieces of your trees as macro mulch to decompose on the forest floor. Woody debris can also be used to discourage off-trail wandering or to remove a trail that you don’t want anyone to use. Any time you have a chipper or tree truck on site, ask that the chips be left on site. Even better, ask that the tree truck come with a full load of chips to add to your stash. Despite what you might have heard on treehouse shows on TV, poking a hole in a tree has a significant impact. 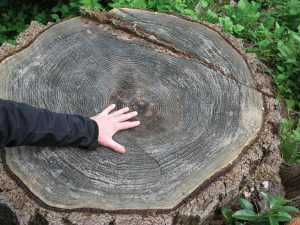 A hole in a tree’s trunk is a hole in its vascular system. Although trees are pretty good at dealing with holes, too many holes can be devastating. 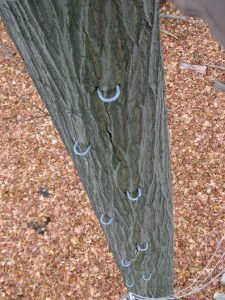 I have seen many old ropes-course trees in decline or dead, and I believe that the penetrations have contributed to this. Avoid creating the “bones” of a course by selecting the best trees and limiting the number of penetrations you make. • Use good engineering to design components that are the smallest your engineer can live with, as smaller holes interrupt less of the tree’s system. • Understand the species morphology of the trees in use on your site. This can help you determine a hole location that is optimal for the tree.